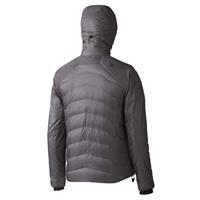 Double down on the new world order — the Marmot Megawatt Jacket has the unique feature of double the insulation for active use in cold conditions. 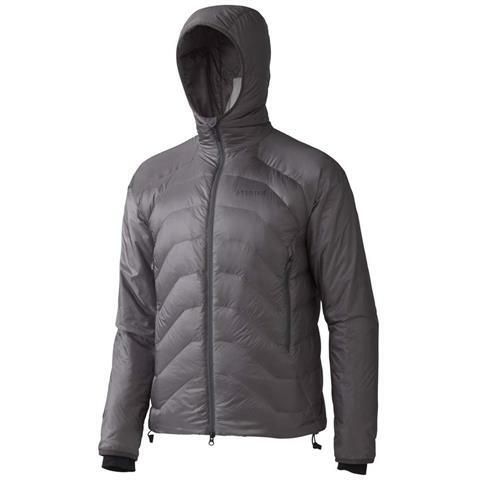 This hybrid jacket boasts the supreme thermal regulation of Polartec® Alpha® — stuffed throughout the entire jacket — and the unmatchable warmth of a water-resistant, 800-fill-power goose down — strategically placed in the torso and attached, adjustable hood. 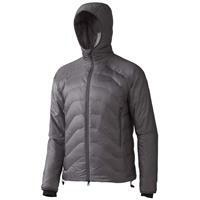 Throw in a wicking mesh lining and Pack Pockets™, and the Megawatt Jacket is a powerhouse of winter warmth.